THEY may consider it a harmless tipple or the basis of a good night out, but millions of Australians face the lifelong hangover of brain damage due to their drinking, health experts warned on Monday. Alcohol-treatment group Arbias said as many as two million Australians may be at risk of permanent brain damage from heavy drinking, while more than 200,000 were living with the condition undiagnosed. The group, which is supported by top agencies such as the Australian Drug Foundation and the Mental Health Council of Australia, said that new research demonstrated people had little idea of the dangers of drinking. It said a survey it commissioned found that most drinkers were unaware at what point their boozing could lead to a permanent hangover, and many wildly under-estimated how many drinks could cause lifelong harm. Arbias' Sonia Berton said current drinking levels, combined with ignorance of the dangers, could see an entire generation of Australians brain-damaged by alcohol. 'This is a public health crisis that is looming and it is not a question of how much you have to drink to sustain an alcohol-related brain injury, it's a question of how little,' she said. 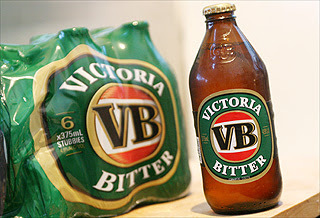 According to the national statistics office, the average Australian over 15 downs the equivalent of 9.8 litres of pure alcohol a year. Arbias says six or more drinks per day for men over a period of eight to 10 years, and three or more for women, puts them at risk of alcohol-related brain damage. Drug use, addiction welcome some to U.S.